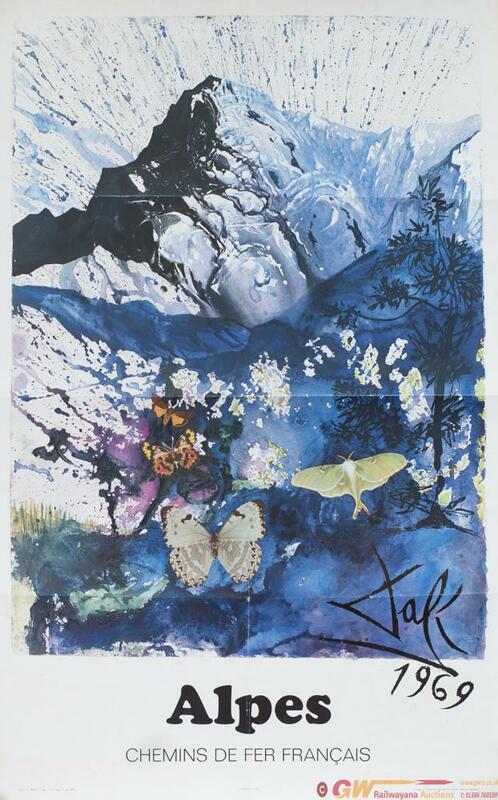 Poster SNCF ALPES by Salvador Dali 1969, dated SNCF 1970. Double Royal 25in x 40in. In very good condition with some spotting and folds.